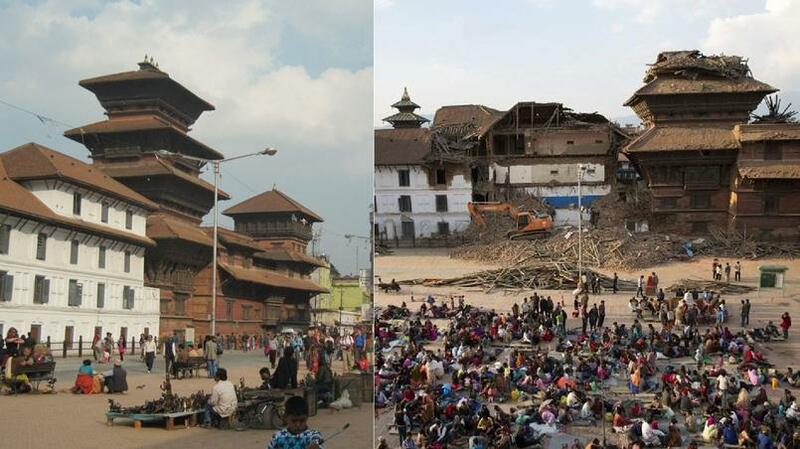 On Saturday, April 25, 2015, a 7.8-magnitude earthquake struck Nepal just before noon local time. Nearly two dozen aftershocks followed. 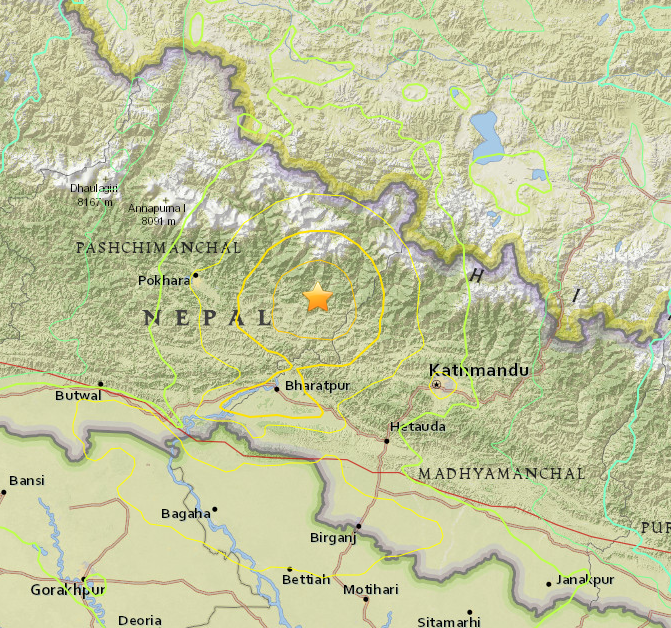 The epicenter of the earthquake was located halfway between Kathmandu and Pokhara. 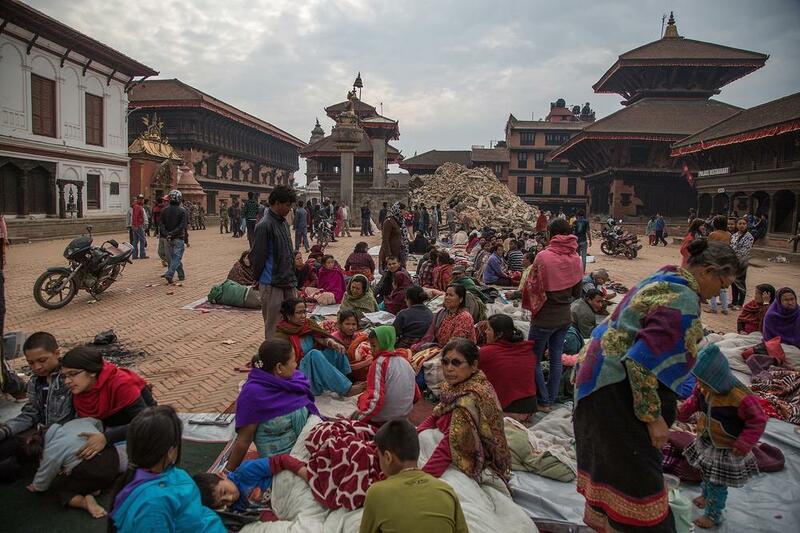 Officials in Nepal reported on Sunday that over 2 500 people were killed - at least 800 in Kathmandu alone - and more than 4 300 were hurt, and this estimation is expected to rise. 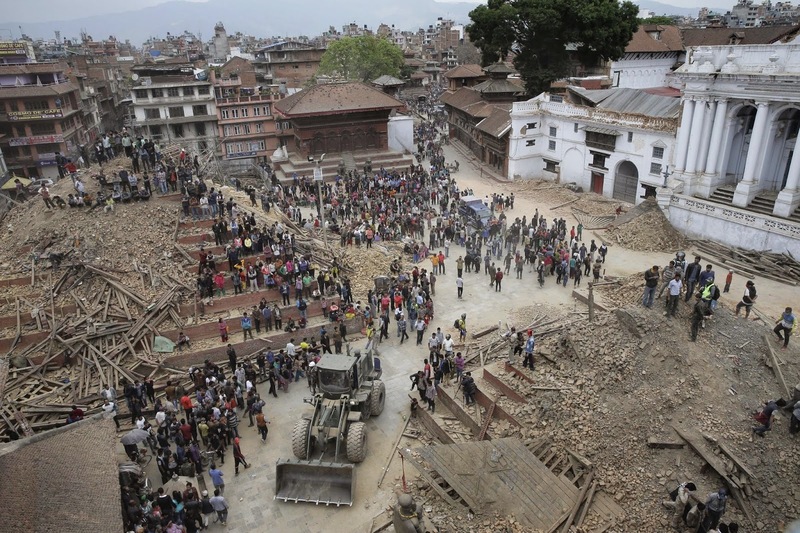 Update on April 29: more than 5000 people are confirmed dead and more than 6500 injured. At that time, numerous countries and non governmental organizations around the world are mobilized to provide aid and supplies. - Nepal Red Cross Society: a direct way to help nepalese people (server may be slow or even down). - CARE: a leading humanitarian organization that has worked in Nepal since 1978. - a very complete list of links concerning How to Help the Relief Effort in Nepal is maintained by the NY Times. 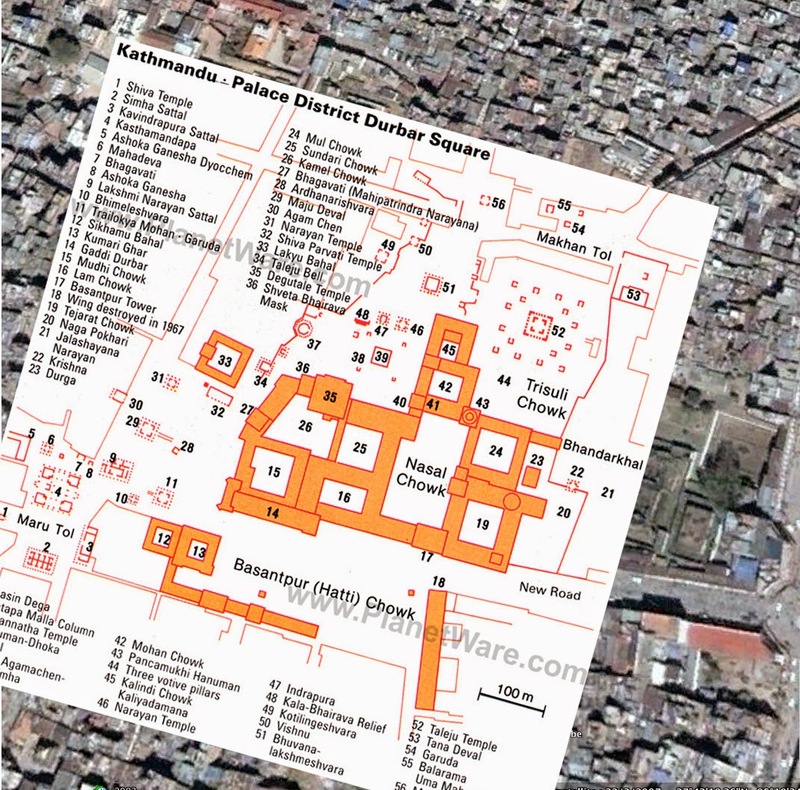 Dozens of temples and historical buildings in Kathmandu, Patan and Bhaktapur have collapsed or damaged. 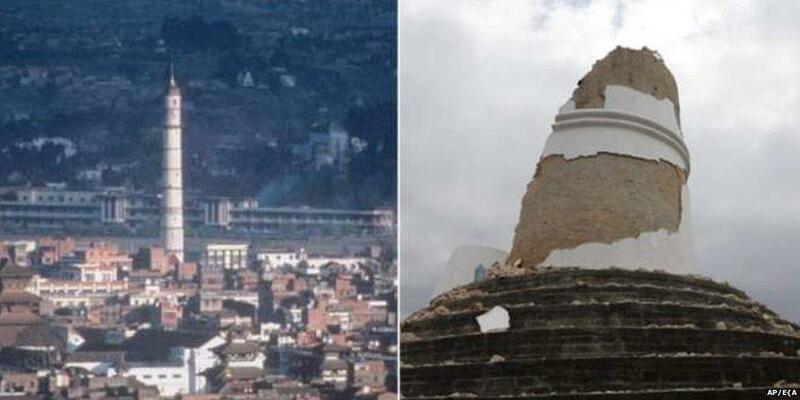 The earthquake has destroyed iconic UNESCO heritage sites, causing a major loss for the World Heritage and a long-term threatening for the nepalese touristic attractivity. 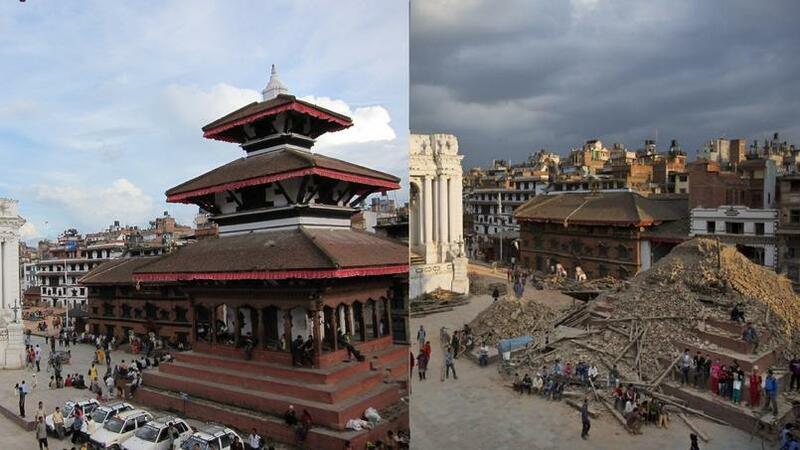 A few other monuments, including the Kumari Temple and the Taleju Bhawani, have partially collapsed. Located west of Kathmandu city, it is a religious complex atop a hill. It is a sacred Buddhist pilgrimage site, featuring a famous stupa with eyes of Buddha looking in all four directions: see Wikipedia. Dharahara Tower: also known as Bhimsen Tower, it was a 62 metre-tall (203.0 ft) tower: see Wikipedia. Located south of Kathmandu, Patan Durbar Square is one of the three Durbar Squares in the Valley and also belongs to the UNESCO World Heritage Sites: see Wikipedia. 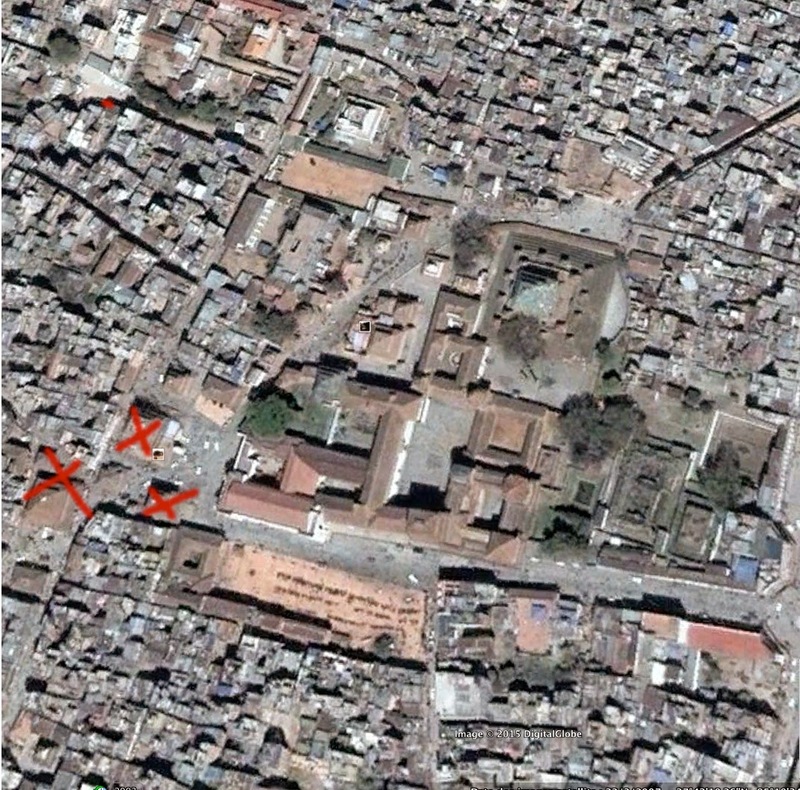 According to India.com, the historic area has been shattered completely. Located 13 km east of Kathmandu, Bhaktapur Durbar Square is the third of the three Durbar Squares in the Valley and belongs to the UNESCO World Heritage Sites: see Wikipedia. The Langtang Valley is located 80 km north of Kathmandu. The earthquake has caused major damages in the Langtang valley: several hundred people were killed, 90% of the district's houses were damaged and the roadways were partially blocked making access difficult for the rescue operations. In April 1982, 33 years ago, I traveled to Nepal. 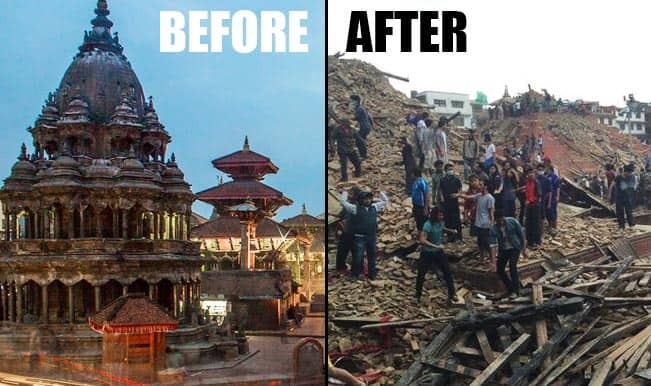 I feel very concerned by this tragic event because I visited much of the places that have been struck: Kathmandu, Pashupatinath, Bodnath, Pagan, Bhaktapur and the Langtang valley. This page is an homage dedicated to the nepalese people and to its cultural heritage. - Amitabh Bachchan and Zeenat Aman in Bhaktapur Durbar Square performing "Pyar Mein Dil Pe Maar De Goli", from the film "Mahaan"